Incoming SUSG officials for academic year 2019-2020. 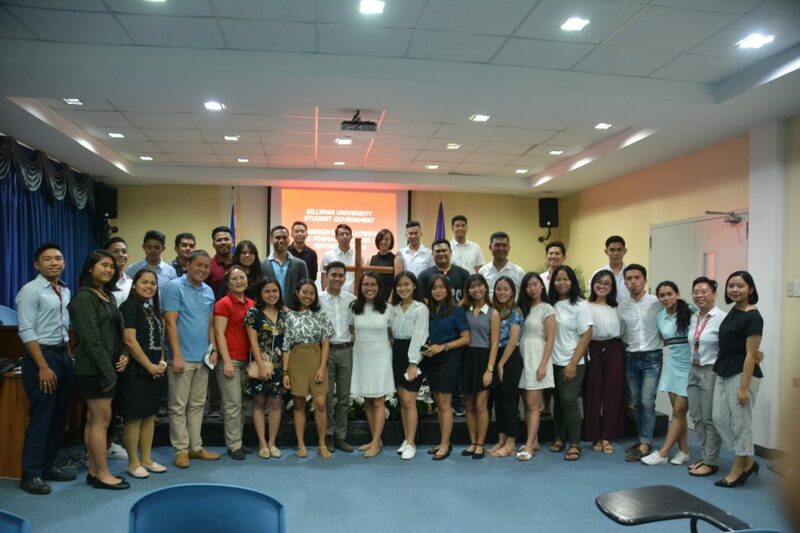 The Silliman University (SU) Student Organizations and Activities Division (SOAD) under the Office of Student Services held a thanksgiving, fellowship, and formal turnover ceremony between the incoming and outgoing officers of the SU Student Government (SUSG). 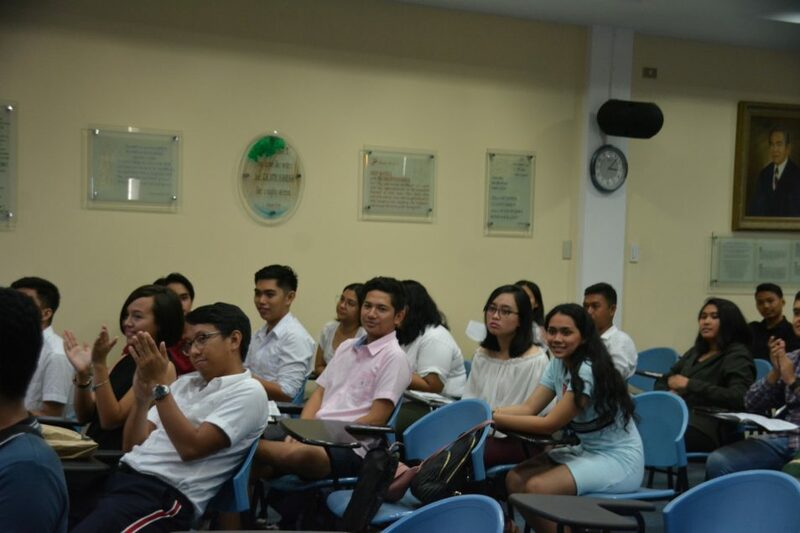 The rites to turn over administration responsibilities to the newly elected officials of academic year 2019-2020 were held April 8 at the SU College of Law Moot Court. Rev. 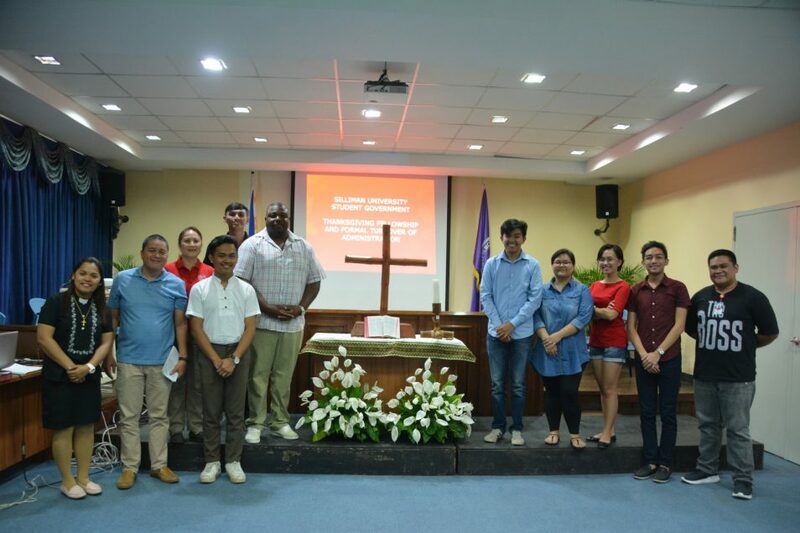 Wella Hoyle-de Rosas, Minister for Student and Campus Chaplaincy, delivered a message of reflection that encouraged the students to be “stewards with a heart.” SOAD Officer-in-Charge Abe Cadeliña then gave certificates of appreciation to outgoing SUSG officials. Dr. Earl Jude Paul Cleope, vice president for Academic Affairs, also delivered a message for the new set of officials. 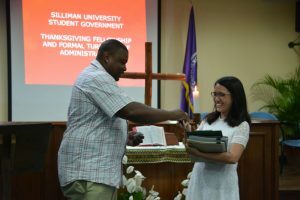 Daryl Robinson, outgoing SUSG president, turns over documents and keys to the SUSG office to SUSG President-elect Aprille Roselle Vince Juanillo. 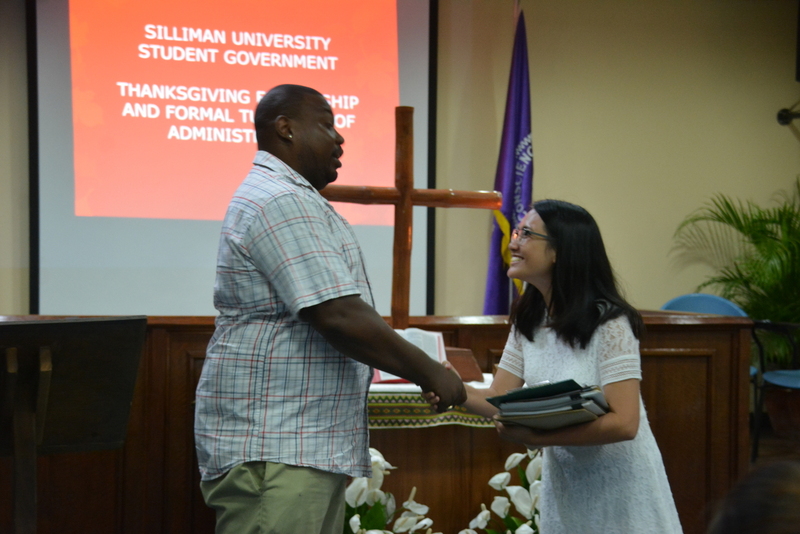 Daryl Robinson, outgoing SUSG president, turned over SUSG documents and office keys to SUSG President-elect Aprille Roselle Vince Juanillo during the turnover ceremony and bequeathal of responsibility.